You’ve received your DNA test results. You’re looking over the numerous calculated results and estimated relationships but are a bit confused by the numbers. How do they know this information? How are these relationships calculated and can they be trusted? While I’ve sat through numerous lectures on using DNA for genealogy I must admit that I am no expert on the subject. I’m still learning and continue to find things that baffle my understanding. But I’m working through it with the assistance of several books on the topic as well as recorded lectures and notes taken from live sessions. I’ve had the question thrown at me a few times: why aren’t my parents a solid 50% each? Aren’t we supposed to share 50% of our DNA from both father and mother? The answer is not satisfactory but yes and no. In theory, yes we should inherit 50% of our DNA from both parents, but in practice due to the several complications that can enter the scenario, it is not likely. Why? Let me use an example. Below are shown results from MyHeritage for my parents. So the question that begs to be asked is: why only 48.7%, why not 50%? Right? 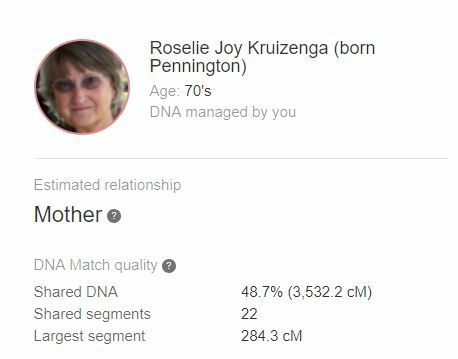 Some companies say we have 6800 centimorgans (3400 each parent) while some like 23andMe say we have 7074.60 centiMorgans. Which is correct? 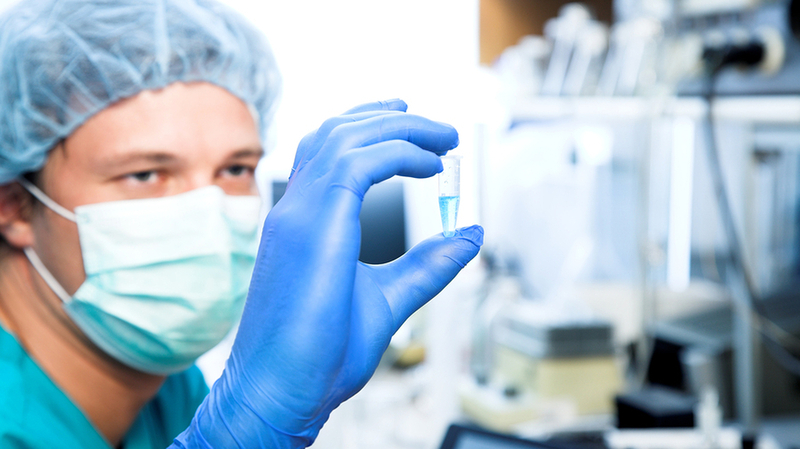 It depends on areas of the DNA each company chooses to inspect. There are portions we call junk DNA because these segments have been defined as being not useful to our purposes. So each company makes an intelligent calculation on what areas to look and makes a suggested relationship after a thorough examination of each area. In the example above I share 48.7% with each parent but the centiMorgans shared are slightly uneven. This is okay. And there may be an explanation. There were areas at the beginning of the 1st through 3rd and 15th chromosomes, and the end of the 4th and 7th chromosomes where MyHeritage states my father and I do not share any DNA. And there were large (damaged) sections of my DNA on the 13th through 15th and the 21st and 22nd chromosomes that were not tested at all. These large untested segments explain the difference between 50% and my shared 48.7% with my father. But is there a way to calculate relationships cross-company irregardless of what testing company is used? Yes, via the unit of genetic distance known as the centiMorgan. 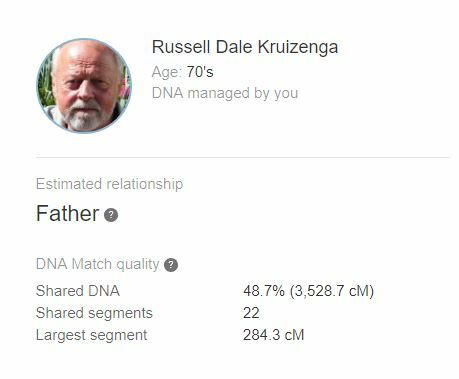 While MyHeritage shows I share only 48.7% of my DNA with my father, there is no reason to be alarmed into thinking…is he really my father? 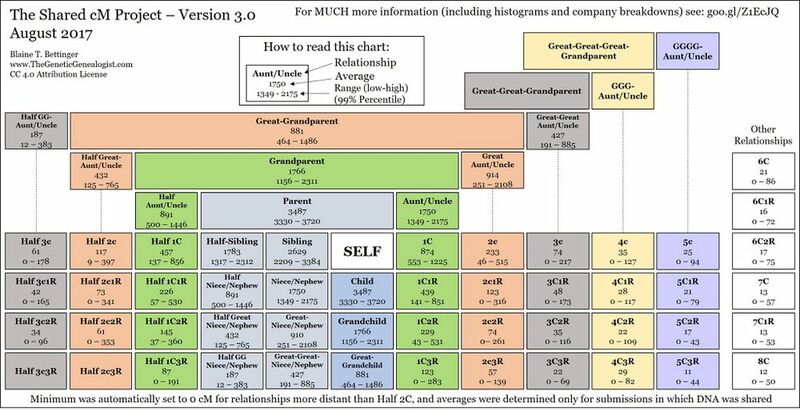 Blaine Bettinger, the Genetic Genealogist, created a handy that is very useful in calculating shared centiMorgans (cMs) between two individuals and thus establishing a relationship based on this figure. Note the chart under “Parent”. 2 sets of numbers are given. The top number, 3487, is the average cMs shared between parent and child. The second range of numbers (low to high) are the range on either side of this average where a relationship might fall when using cMs. For Parent this range is between 3330 to 3720 cMs. And clearly both my parents fall within range: 3529 (father) and 3532 (mother). Using the chart above can help you see where and how your testing company calculates suggested relationships. You can do the same thing. 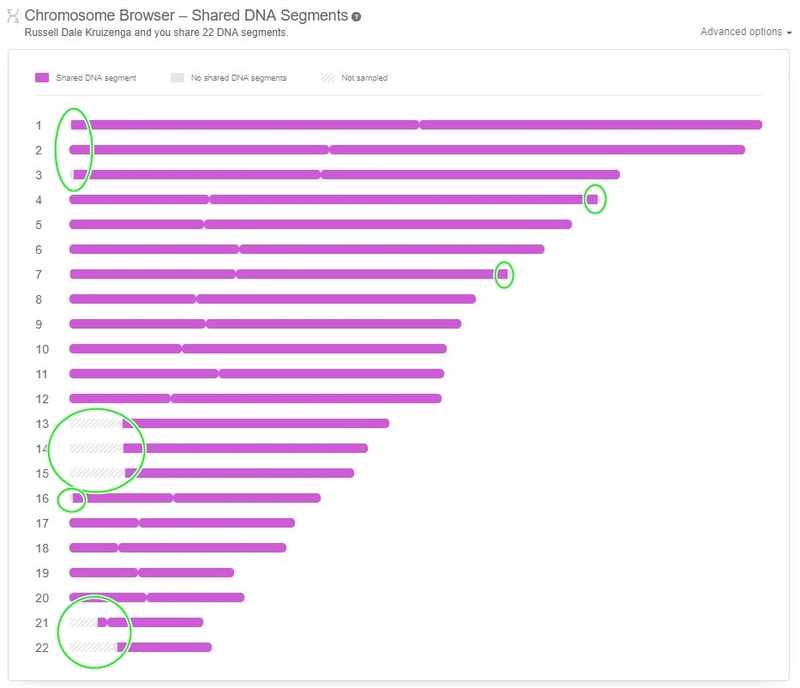 You’ll note the several overlaps in ranges between the many relationships shown. If you have a calculated relationship that falls within range for several listed types, be sure to note each and every one of them keeping in mind what your testing company suggests as your company has other means at their disposal to make these calculations that we do not.